Wednesday Nights at are a great opportunity to be guided in meditation and to listen to interesting and information talks that will inspire and uplift, and help you to improve your state of mind and learn how to deal with problems and stress in a more constructive way. 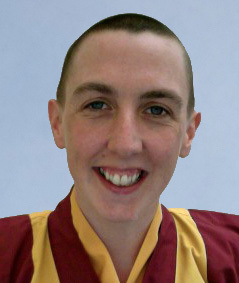 These classes will be guided by Buddhist Nun and Resident Teacher Kelsang Chitta. She has been a student of Buddhist Master Geshe Kelsang Gyatso Rinpoche for over 12 years and was appointed the Resident Teacher at Potala KBC 5 years ago. Since then she’s been teaching and guiding retreats all over Northern Ireland and is known for her warmth and down to earth approach. Each class starts with a guided breathing meditation, followed by a short buddhist prayer, a talk and a final guided meditation. There’ll be an opportunity to relax, ask questions and drink tea after class if you wish. I am just enquiring if u have meditation class this Wednesday night the 13 April 2016. I am new to area and live about 18 miles from Omagh and would love to join your class, do u have any classes in Cookstown? Hi just wondering are these classes still running? Would love to attend. Hi do you still run a class in omagh?